The Vivian Maier story has taken another ironic turn as Jeffrey Goldstein (who once owned the second largest collection of Vivian Maier negatives) has filed suit against the Vivian Maier Estate. The lawsuit is puts a dollar value on the work he has done if he’s forced to turn over his remaining assets to the estate. We talked to Jeffrey to find out why he filed the suit and what he sees coming next in the Vivian Maier story. Hit the jump for the interview! The Chicago Tribune first reported that Jeffrey Goldstein had filed a lawsuit in the Cook County Probate court that challenges the County’s attempt to reclaim the assets of her estate, and argues that without his efforts to print and promote her work the reculusive nanny would never have been discovered in the first place. In an unusual filing in Cook County Probate Court, Jeffrey Goldstein argues that he and others who have produced her images essentially created the value in Maier’s undeveloped film and are therefore entitled to share in any profits should the county succeed in forcing them to turn over their holdings. 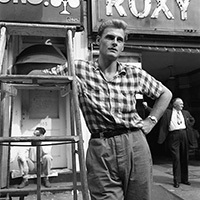 Jeffrey sold his entire collection of Vivian Maier negatives to the Bulger Gallery in Toronto when copyright claims threatened years of legal wrangling. He still owns numerous prints as well as several home movies and other materials. StreetShootr: How did you become involved in the Vivian Maier story? 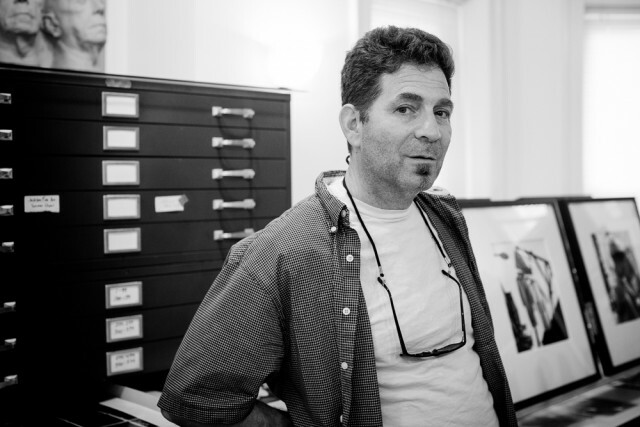 Jeffrey Goldstein: I’m a rabid collector, primarily of prints and photographs. I have friends who are involved with the flea market and this is kind of where the Vivian Maier story started coming up. I initially had access to some vintage prints and I thought that was as far as the collecting was going to go. But then I had access to one of the original buyer’s collections and it sort of took on a life of its own. SS: What was it about Vivian’s work that spoke to you when you first saw it? JG: There’s a school of Chicago artists called The Chicago Imagists and part of their work is this finely crafted surface with an edgy bizarre undertone. And for me, her work has that same feeling. There’s a punished, humanitarian, edgy, bizarre world depicted through her eyes. Plus she’s very Chicago and I’m very Chicago blue collar. And so those sensibilities for me are embued in her work. SS: So why did you take on a project like this? What was your motivation in doing this originally? JG: Initially my motivation was just to pull up the material that I was interested in and add it to my own collection. As it became more important I basically got caught up with it as everybody else did. So it’s not that we’re marketing geniuses or anything of that sort. None of us really had business backgrounds but it was keeping up with what the level of interest that was growning out there. So I tell people that I’m not a gambler. I don’t play poker. And now looking back, I don’t know what I was thinking when I did this. It was just getting caught up in the beauty of the art, and people’s interest in it. SS: Now I think a lot of people might have the idea that you found some negatives in a box and started selling prints and made millions of dollars. What’s the reality of running a project like this? JG: Well the reality was that for the first two years a lot of time was spent archiving because we coudn’t do anything until we knew what we had. Then we got involved with the best printers in Chicago and the idea was we were going to do something as authentic and respectul to the work as we could which meant using the methods of the time when the film was shot. So it’s all traditional darkroom prints. If the negatives have dust on them we don’t wash them for fear of ireparable damage so we actually printed with the dust and then each print is hand spotted. And so the cost is phenomenal. For example, two years ago when we started actually producing money and the project was stabilizing we grossed $500,000 US which sounds like an enormous amount of money. The galleries got half, we got half. And out of that half I had to cover costs including 3 people that work for the project, insurance, shipping, framing, legal fees and all that. So in the course of that one year we quickly burned through $250,000 just covering expenses and I’m not salaried. During that year we basically sold 250 prints. So that means the hard production costs for each print was $1000. So it’s not just the printers cost. It’s a very intensive, labour intensive project and so the falacy is that because it has high visibility that there’s just money flowing through this and that’s not the case. SS: Honestly, I have no problem with people generating income and profit from what they do. But after talking to you, it’s pretty clear to me that this is a labor of love. It’s not just a machine to print money. JG: No, nobody goes into the arts to make money. Probably 11 out of 10 art projects fail. I never could have predicted how much interest there would be in Vivian Maier and how the entire story would play out. I’m not a gambler but I look back on this and I don’t know what I was thinking. I have a career, trade, occupation. I’m a custom cabinet maker, and I shut my shop down and I completely eroded my client base of 30 years. But I have things to go back to but I certainly pushed a lot of things off to the side to do this. SS: How did you first become aware of the copyright litigation surrounding Vivian Maier’s estate? JG: Well, ironically it was through the Steven Bulger Gallery because they received notice before we even did. Possible pending copyright infringement and pending litigation so they sent a copy of the letter down to us to ask us what that was about. So we never even had direct contact with Cook County. Part of my decision to shut things down instantly was Cook County itself. Plus a case like this could go on for 10 years. SS: And by all acounts it sounds like it probably will go on for that long. JG: Right. It’s about naming Vivian’s legal heir. John Maloof and I worked together and at great cost to us we vetted an heir. But Cook County has taken the stance that Vivian Maier’s brother Charles would be the closest heir here in the United States. The problem is Charles disappeared 60 years ago and there’s no record of his existence anymore and no death record. But they’re going to keep it open for him until he’s 100 which is another 5 years. And then they’re going to keep it open longer just in case he had children. They basically have taken control of copyright and even though our heir has not been disproved, the process of contesting their claims would amount to another $500,000 in lawyer fees and 5 or 6 years in the courts. Honestly, at the age that I am now, I don’t have another 10 years where I can have the energy levels to put into a project like this. And I shut down my painting studio 5 years ago and I shut down my workshop 5 years ago. I’m not going to say these are sacrifices because it was a choice that I made and the entire process has been very exciting. But the chapter closed far more abruptly than I would have liked. SS: The negatives are in great hands with The Bulger Gallery in Toronto. JG: I think Stephen has an incredible amount of integrity, passion, and an honest love for photography. I collect art but I never feel like I own it. I’m just the caretaker. It’s not like a hamburger that you get to consume. So it’s the same with the Vivian Maier material. I think more in generational terms. 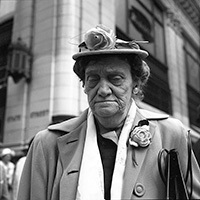 One thing that saddens me is that I will never see all of Vivian Maier’s work. You know, from John Maloof’s collection and what we could have done with this part of the collection ourselves. It’s going to be a multi-generational thing. SS: Did you have any undeveloped negatives or did you only have negatives in your collection? JG: I had about 270-300 rolls of undeveloped film. SS: Have they all been developed now? JG: Yes they have and they turned out well and we actually have made prints off of them. 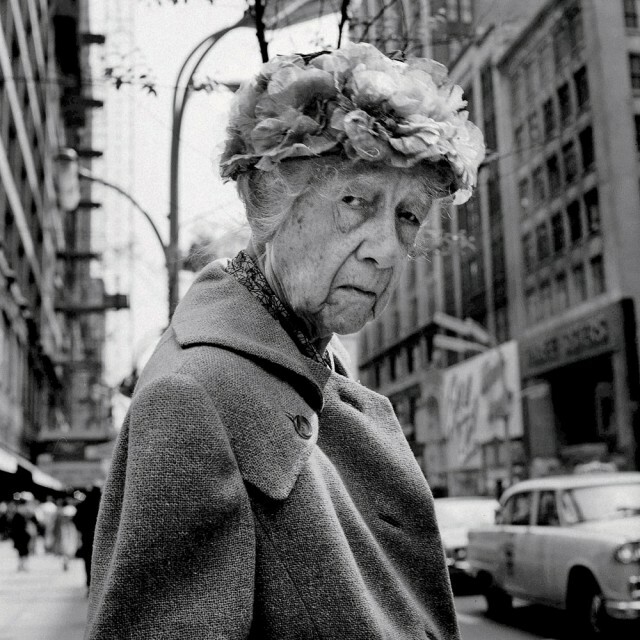 So it was really remarkable to see images that Vivian Maier took but never saw herself. SS: Do you regret selling the collection abruptly? Or was that just another step that had to be taken so you could move forward with a good conscience? JG: Ya, I can move forward with a good conscience because it feels like I did the right thing for the material. And I’ve had to make a lot of difficult decisions that couldn’t be about me but had to be about the material itself. At this point I feel like I really made the right decision. Considering how things are unfolding and whose hands it’s in. And whether or not it’s an excellent or perfect decision only time will tell. But I feel really good about it. SS: I was actually about to interview Stephen when all the Cook County probate issues first started happening. And he emailed me and told me he purchased the collection and it took me by surprise. Actually, I think it took everyone by surprise! JG: I make a lot of decisions innately and this felt like it was the thing to do. So between getting the material up there, getting on airplane with the material, really not telling anybody about it, it was pretty intense. But everything seems to be lining up to point to the fact that it was actually the very right decision to make. For the sake of the material. 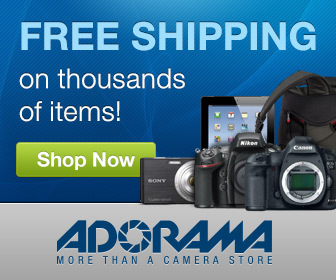 SS: Wait, did you actually put 17,000 negatives in a carry-on and fly it up to Toronto? JG: I shipped the majority of it FedEx express. And then the parts that we had that were key, that had gone into production, those I had on the airplane with me. SS: You recently filed suit against Cook County. Can you tell me about that? JG: I did file a lawsuit and it’s actually the first suit to be filed. Cook County can’t really do too much of anything until they get the digital files from John and I and they actually have to register all the individual images with the federal copyright office. Which is crazy because theres something like 160,000 images. And the problem is it’s private property so we don’t have to give them those files. If they press long enough then it becomes a constitutional issue and goes to the Illinois Superme Court and that’s a whole other issue. But my lawsuit doesn’t go against Cook County, It’s kind of ironic as is almost everything with this project but the suit goes against Vivian Maier’s estate. 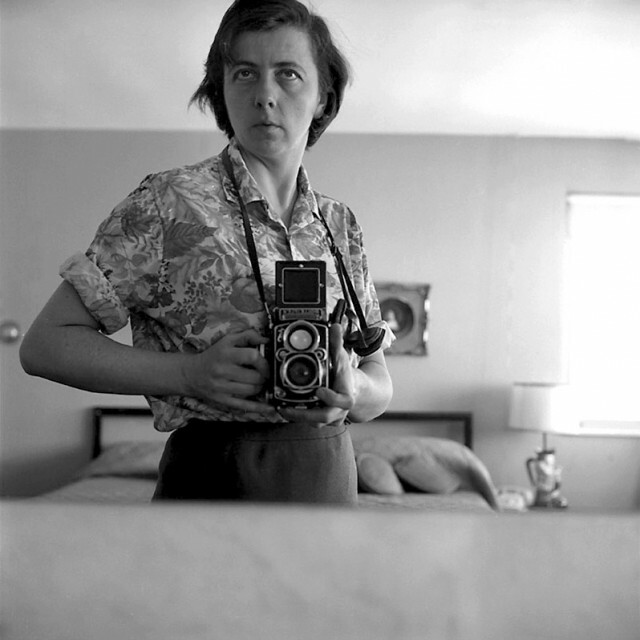 Basically I’m suing Vivian Maier’s estate and there’s no money in the estate. Cook County attorneys get paid by the estate they handle and there’s nothing there. They have $100,000 or more in billable hours and on top of that now, I have a lawsuit against whatever may come into that. So why sue the estate if there’s nothing there? JG: Right, it is considered unjust enrichments. So we have a lot of time and money invested just in the archiving. So if they somehow were able to maneuver and get the digital files, I would have to be reinbursed for our time and costs that have put those all together. SS: And that’s all you’re looking for? JG: Yes, but once you think about how much time and money went into this, they’re not going to be too happy to paying that amount of money back out. And there’s no reason for me to give them the files because once I do then they can start other types of litigation. Once they start that then you have to respond. SS: Seems like you’re just laying claim to what you’ve done. The copyright on this work seems to be a grey area from the start but I don’t think anyone would deny the contribution that both you and John have made to the work. 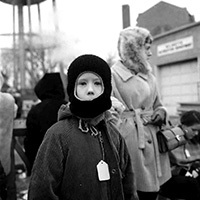 JG: Really, it’s a little uncomfortable in some ways because we try to stay behind the scenes of Vivian Maier. She’s the artist and it’s paramount that the work is about her. When people go and see the work in a gallery I don’t want our back story distracting them from what they’re looking at. SS: It’s a tough one with Vivian Maier because the story is so compelling and now this is a part of that story. Well we’ve been pushed out I suppose. Now we have to talk about it. SS: It’s going to be interesting to find out how this all unfolds. Let me ask you one more question. Now that this has gotten to this point. 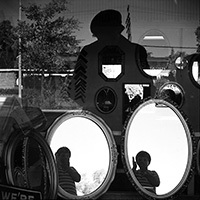 What is the one thing that will always stand out for you about Vivian Maier? JG: That’s a great question. I would say that the spirit of art and community has showcased through this individual. This one individual. Who really remained outside of society as a standalone figure that we really know very little about. And I don’t know what the alchemy is for that to take place but somehow she accomplished what art is supposed to accomplish. And it’s what every artist strives for. So there’s something incredibly magnificent about this entire thing. I don’t want to use the work cosmic [laughs] but I guess there’s almost like, people say like electronic connection between artwork and the viewer. In this case it’s an electronic connection between the artwork and a community. All the stars lined up on this, finding the negatives, the superb quality of her imagery, and the fact that she was an average working person. If I had to pick one word, I guess, it would be profound. The story, the entire experience is profound. SS: Jeff, thanks so much for taking the time to talk to us. This gives us a great sense of who you are, what’s happening and where things are about to go next. By all means, next time you’re in Toronto, let’s get together and meet face to face. JG: I will look you up and I will keep you posted as things unfold because there’s some other bizarre chapters that are taking place that the public is not aware of. JG: I’ll let you know when I’m able. Rogers Park Artist Fights For Control Of Photographer Vivian Maier’s Estate. The Heart Of The Vivian Maier Project. The Vivian Maier story is always fascinating and this latest development holds true to that form. I was immediately struck by Jeffrey’s integrity and his passion for the the work. This was never a huge cash machine and Jeffrey was consistently motivated by the integrity of the work itself. His decision to file suit only becomes relevant if Cook County is able to force him to hand over his remaining assets. Those assets have value beyond what they were when he took possession of the negatives and I believe he’s right in expecting compensation in that case. 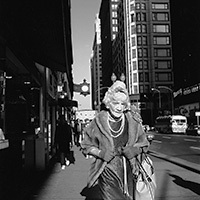 What’s your take on Jeffrey Goldstein’s lawsuit against the Vivian Maier estate? Is it a fair claim for the work he’s done? Post your ideas in the comments below and keep the conversation going!